Eight days to go – we begin with our group by group preview, beginning with group A of course, where France will try and fight off the Latin opposition of Uruguay and Mexico while South Africa build on the home support to carry them through. One good thing about this World Cup for the French people – Raymond Domenech will be leaving, replaced by Laurent Blanc when the tournament is over. Other than that? Not sure. France aren’t arriving as one of the big favorites to go all the way in South Africa, despite having what most think to be a comfortable group. I usually have faith in Mexico and Uruguay, but I’ll find it hard to believe if France won’t be one of the two teams making it to the Last 16 stage. The problem is, who’s going to carry the scoring load? The striking force consists of Nicolas Anelka, Thierry Henry, Djibril Cisse, Andre-Pierre Gignac and Sidney Govou who’s more of a winger anyway. For some reason, Benzema was left out. Yes, he didn’t have the best of seasons for Real Madrid, but still, he’s by far the most talented forward the French have. Henry said earlier this week he’d be glad to fill the “super-sub” role. Domenech started Anelka in the match against Tunisia. William Gallas did the scoring for France (1-1). The midfield looks packed, headlined by Ribery, who had a so-so season with Bayern, eclipsed by Arjen Robben’s fantastic campaign, and Gourcuff, who also had a big drop in his production this season, falling apart alongside his Bordeaux teammates at the late stages of the season. The attacking midfield looks good, although having Samir Nasri despite his knack to disappear in many matches might have been a nice privilege. Defensively, Toulalan is a solid player, but not world class. Defense? so-so. Domenech seems to favour Abidal (left-back on most days) as Gallas’ partner in the middle, with Sagna and Evra providing a fantastic full-back duo. 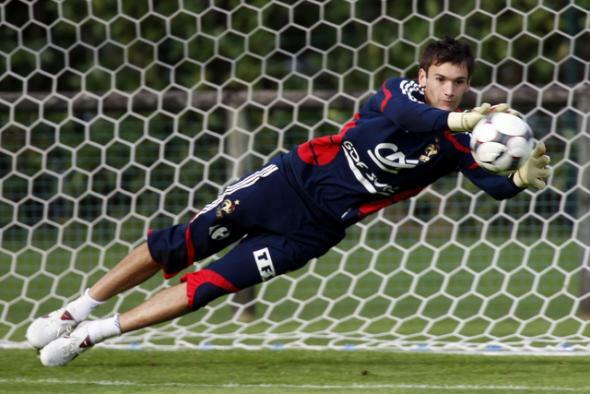 Hugo Lloris is on the right track of becoming the World’s best goalie. 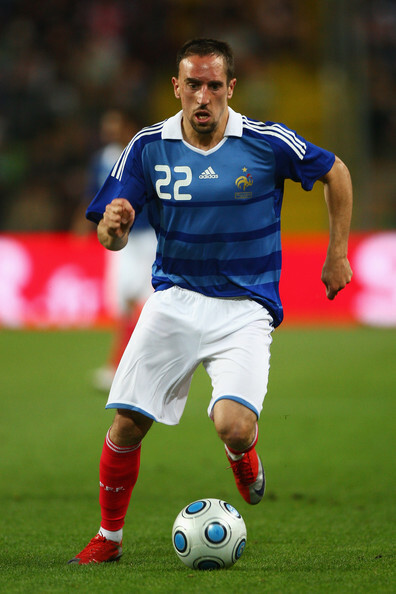 The bottom line is, France have talent and a pretty solid lineup, but the lack of a really good striker and a stronger figure in the middle of the park to free up Ribery and Gourcuff should prevent France from making it to the Semi Finals. France will finish first in the group stage but will fall in the quarter final. With all the sympathy I have for the South Africans, they have one of the weaker squads in the tournament, and I believe they’ll be the first host nation to fail in making the cut in the history of the World Cup. 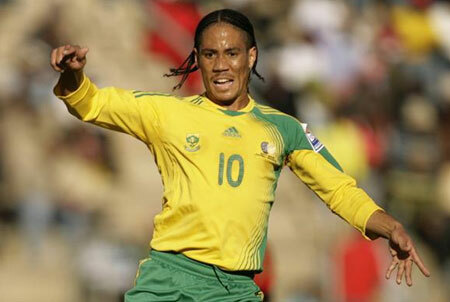 Steven Pienaar is the only player in the squad with a bit of international reputation, as Benni McCarthy (all time leading goalscorer) didn’t make the 23-man cut of 1994 World Champions Carlos Alberto Parreira. He has only Katlego Mphela (Sundowns), Bernard Parker (Twente) and Nomvethe (Moroka Swallows) as strikers, not exactly formidable goal scorers. Still, there’s a chance that the squad, mostly based on players from the South African teams, will play better than expected with the home crowd behind them. Still, I’m a believer in talent, and South Africa don’t have enough of it to make it through the group stage. South Africa did have a decent appearance in the 2009 Confederations Cup, but didn’t make the 2010 Africa Cup of Nations. 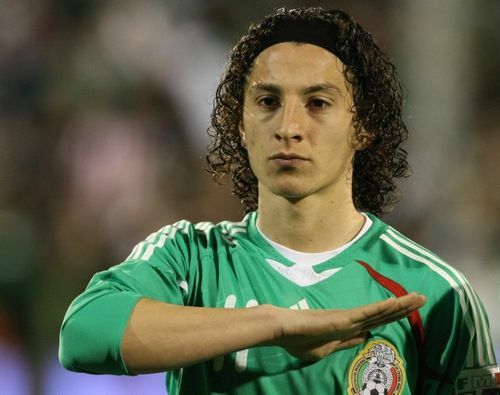 Mexico usually have a decent team, and have made it to the second round in the last four World Cups, failing to make it to the quarters every time, four years ago in a memorable match against Argentina, losing 2-1 to a fantastic Maxi Rodriguez goal in extra time. This time, I don’t think they’ll make it. They have talent, but Uruguay seems like the better team and Mexico will probably be left out of the last 16 along with South Africa. There’s quite a bit of turmoil in the Mexican camp in the last couple of days after Johnathan Dos Santos was cut from the final squad, leaving brother Giovani very unhappy, threatening to quit the side. The Mexicans set themselves very tough opponents for the preparation stage, losing to England (3-1), The Netherlands (2-1) and have a match with Italy later today. They got a break with Gambia on Sunday, beating the African side 5-1. Aguirre has been testing 4-4-2 and 4-3-3 lineups in the friendlies, and still doesn’t seem to be sure if he wants to play Giovani or Guardado on the left flank, with Guardado seemingly having the edge. Up front he’ll probably go With Arsenal’s youngster Carlos Vela, favoring Guillermo Franco as his partner, although Franco has picked up an injury and he’s not 100% fit right now. Back on the big stage after missing the 2006 World Cup, Uruguay seem poised and full of talent to make it into the second round for the first time since 1990. 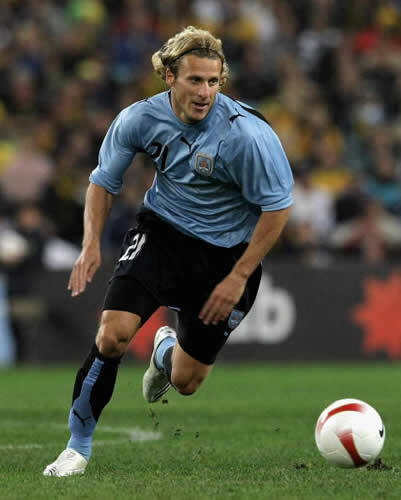 They have a terrific duo upfront, Diego Forlan, after another productive season with Atletico, leading them to Europa League glory, scoring 28 goals in all competitions, and Luis Suarez who had a monster season for Ajax, scoring 49 goals in 48 matches for the Dutch runner-ups. Cavani and Abreu provide good options from the bench. Upholding tradition, Uruguay have a very tough spine, with Lugano and Godin at the back and Gargano, Diego Perez and probably Nacho Gonzales in the middle, with Tabarez probably playing in a 3-5-2 formation, or 5-3-2, whatever you prefer. Not the flashiest of sides, but a strong team with a very dangerous attack that should be enough to carry them beyond the group stage but not too far after that probably.